The Virginia House does require a $100 photography fee, due in advance of your session, to use the grounds for a one hour photo session. If you dream of having whimsical snapshots of you and your bridal party perusing colorful flower beds, garden pools, and an Italian-inspired loggia, the fee is well worth it. The grounds have plenty to tempt your Richmond wedding photographer, so walk around together for a bit and let the setting inspire you. Take pictures on the grounds with the castle-like Virginia House peeking out in the background. Snap the traditional bride and groomsmen or groom and bridesmaids shots in the box garden surrounded in tulips and other floral delights. Your imagination is the only limit on the memories you can capture at the Virginia House. When you are finished being in awe of the blissful quiet and lovely grounds at the Virginia House, head over to Agecroft Hall for a second helping. Agecroft is similarly priced at $100 per session, but it also has breathtaking grounds, and the parts leading up to the house itself can photograph quite nicely. Although it is situated in Richmond, wedding photographers can create shots that look like you just hopped across the pond for a photo session. The building has a terrace complete with a stone balustrade that looks out onto the verdant grounds as well as a long, elegant staircase and water features with blooming lily pads. Take beautiful bridal portraits on the terrace or get shots of the bridal couple descending the stairs to the gardens. 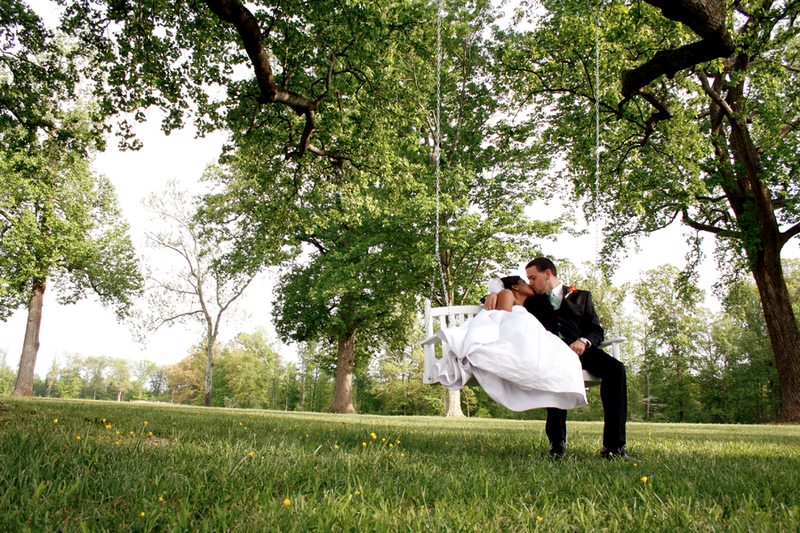 Agecroft also houses some beautiful gardens that you will want gracing the pages of your wedding album. The sunken garden boasts an array of brightly colored blooms to liven up your pictures. Have bridesmaids stop and smell the flowers as your wedding photographer captures candid shots. The Elizabethan knot garden is pristinely landscaped into complex, interwoven designs in shades of green and burgundy, which could provide a more masculine alternative for your groom and his groomsmen. Wrap up the shoot with a dreamy stroll through the gardens with your future spouse and allow your Richmond wedding photographer to secretly catch it all on film. Around 12th Street on Cary heading into downtown Richmond, wedding photography has its perfect backdrop. The asphalt turns to cobblestone and the buildings turn quickly from business high-rises to quaint shop and gourmet restaurants. This area is known as Shockoe Slip. Hop into your limo, or walk if your venue is nearby, to this historic area to create lasting memories of your special day. Hit the cobbled streets with your bridal party and your photographer can snap understated photos with an old world European vibe. At 13 Street, turn into the small courtyard and get some pretty shots of your bridal party surrounding the delicate fountain at the center. Once you have hit 14th Street, turn right until you reach Dock Street. This is the entrance to Richmond’s Canal Walk. Follow alongside the canal’s twists and turns and find your own special place in the heart of Richmond. 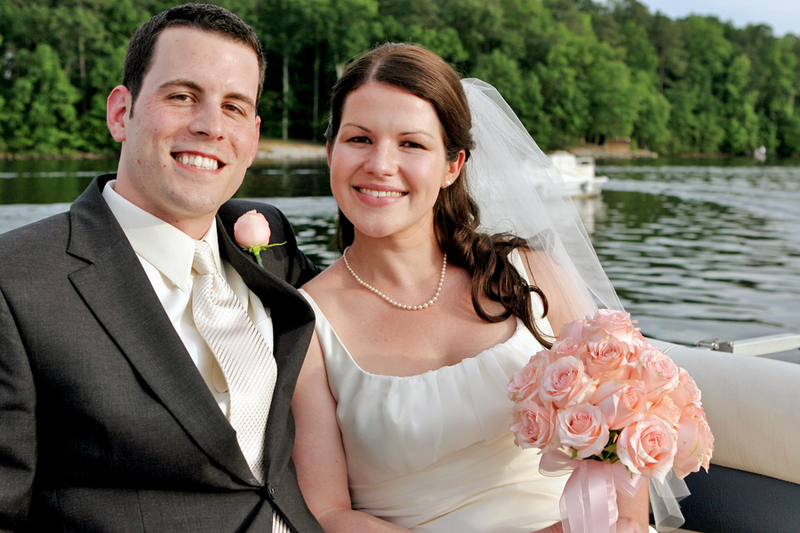 Wedding photographers can choose to take both candid and posed shots of you and your bridal crew. With over a mile of walkway, you can keep walking and let your imagination run free. If you don’t feel like walking, Venture Richmond offers a canal cruise ($5 per person or $95 to charter a boat for an hour) that will provide you with plenty of great photo opportunities along the canal. Richmond wedding photography may sometimes lack for natural, woodsy backgrounds. 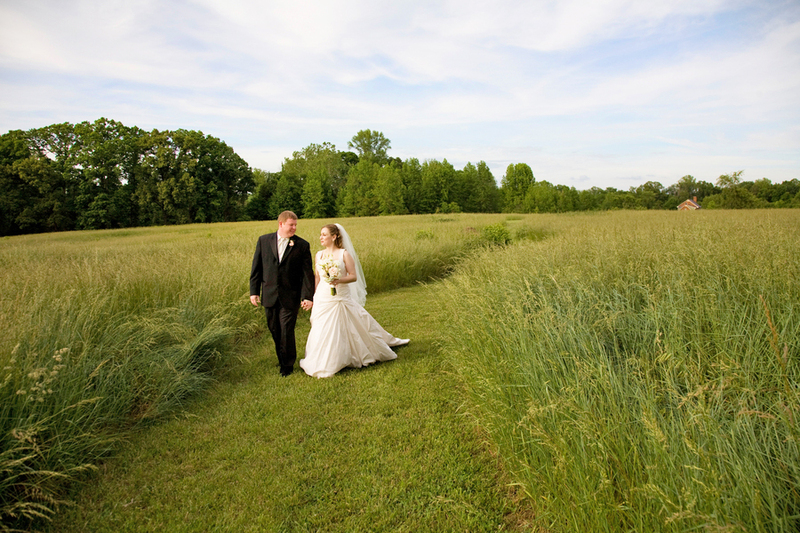 If you want a wild, wooded background in your Richmond wedding photography, don’t fret! Head over the James River to Belle Isle. On the island, free of traffic and buildings, wildlife comes alive and the woods have taken over. As you walk over the James River on the suspended footbridge, be sure to have your wedding photographer snap a few overwater shots. The views in either direction make great backdrops for your photos, whether you prefer the splashing of the running river or the rising cityscape. Once you’ve reached the island, dirt trails make it easy to navigate around the island and into the woods. Perhaps one of the best photo ops is taking your bridal party out to boulder hop on the large, smooth rocks that have settled themselves in the rapids of the James. Being VERY careful not to fall in, hopping across the large boulders is easy and your wedding photographer can capture candid shots of you and your party having fun on the rocks. Make sure to get a few pictures of the bride and groom all gussied up and laying or sitting on the tan rocks together as the deep blue of the river snakes out behind them. For brides and grooms that are fond of ruins, your Richmond wedding photographer can stage some stunning shots against the towering brick ruins of the old manufacturing building. Have your groomsmen and bridesmaids line up against one of the old brick walls and lean casually, or get a shot of just you and your soon-to-be husband holding hands against the historic backdrop. Get creative with your photographer and come up with fun ways to showcase your bridal party in this unique setting. The juxtaposition of the old ruins and the beautiful dresses and tuxes will create visually compelling images that you will be proud to show off.